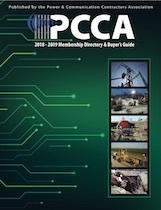 The 2018-2019 PCCA Membership Directory & Buyer's Guide is available online. Bookmark the link on your phone or other mobile device and carry PCCA wherever you are. It can also be shared by email or social media. Fully searchable, the directory allows you to create your own bookmarks within the publication. Please note the printed edition listings are current at time of initial publication. For the most up-to-date listings please search our online member directory at left. Browse the listings or find PCCA members by entering simple search criteria using the fields below. For more detailed seaches, select "Advanced search."